In the last 8 years more than 10,000 bills in statehouses across the country were copied and pasted from special interest groups. And it turns out Illinois passed more of these bills into law than any other state. Also, more than 150 people in Illinois have been hit by a fungus that’s resistant to drugs. We’ll hear more on this from the new Illinois Director of Public Health. Plus, Purdue University is limiting streaming websites like Hulu and Netflix to free up bandwidth in the classroom. Will it get students to pay attention in class? You may have heard about a rare, but potentially life-threatening fungus that has infected more than 150 people in the state. In fact, while it is rare, Illinois has experienced the most cases in the country behind only New York. It’s called Candida auris, and what makes it so potentially deadly is that it’s often resistant to drug treatment. We should be clear that the majority of the state has not seen any cases of this happening. By far, most of the cases have been in and around Chicago. There have also been three reported cases in St. Louis. We're joined by Dr. Ngozi Ezike. She is the new director of the Illinois Department of Public Health, and she explains what this fungus is and whether healthy people need to be concerned. Dr. Rachel Rubin is also with us from the Cook County Department of Public Health. If you think back to your civics lessons, you probably remember how a bill becomes a law. Or at least the simple version of it: a lawmaker proposes one, it gets approved, and the chief executive signs it into law. But sometimes special interest groups write the bills themselves and then copy those bills, word for word, and spread them to other state legislatures. 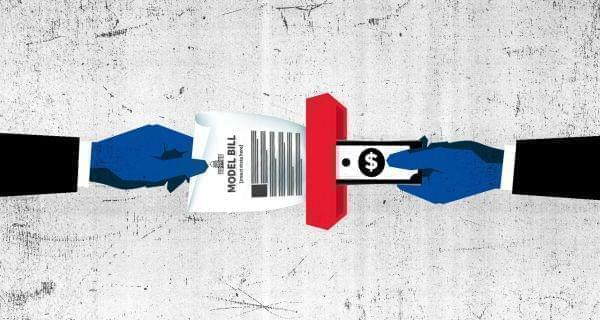 Reporters with the Arizona Republic, USA Today, and the Center for Public Integrity found that over the past 8 years, more than 10,000 of these copycat bills were introduced in statehouses across the country. About a fifth of those have become law. And in Illinois, we’ve passed more of these model bills into law than any other state. Joining us are two of the reporters behind this investigation. Rob O’Dell is an investigative and data reporter with the Arizona Republic. And on the line from Denver Colorado is Nick Penzenstadler, a reporter with USA Today’s investigative team. It’s Monday morning, which means it's time to sit down and get some work done. But, it can be hard to do that when your phone is buzzing with texts, Instagram updates, and Game of Thrones premiere reactions. These days, our technology grabs at our attention practically every moment. Perhaps no one is more aware of that than college students, and the professors trying to get their attention in class. Now, Purdue University in Indiana is limiting streaming services like Netflix and Pandora during classes to leave more physical, and mental, bandwidth for academics. Mark Sonstein joins us on the show. He’s the Executive Director of IT Infrastructure services at Purdue. Alejandro Lleras also joins in on the conversation. He’s a psychology professor at the University of Illinois and studies attention at the University's Beckman Institute.